This product is custom made each time. Please contact us for more information. Pure silk and beautiful Danish wool fabrics, mixed to produce surprising splashes of colour for your sofas lounges and armchairs. 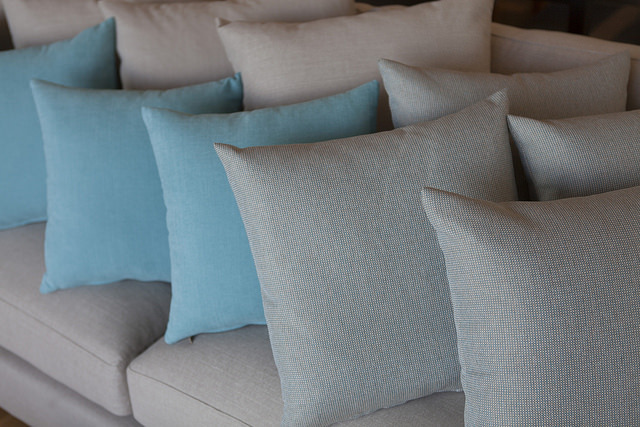 Our Luxe scatter cushions are made just for you. Every cushion is customised. 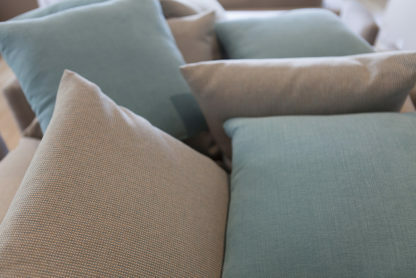 Our scatter cushions are typically wrapped in feather and fibre around a soft foam core. This increases their comfort and ability to conform to your body position. It also provides long term durability, that will hold its shape. 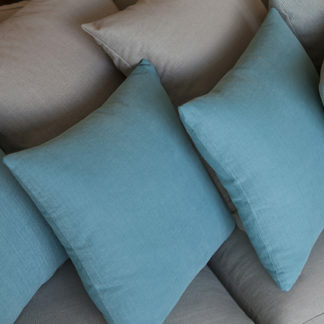 We’re very happy to produce full “down cushions” for that extra luxurious experience too. Some sofas just demand these after all! Just let us know what you desire, and we will produce the perfect scatter cushions to meet your needs. Below, we’ve listed a few key things that everyone should keep in mind before they finalise their scatter cushions. 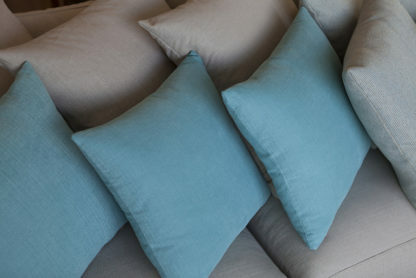 Made entirely in Melbourne by the same upholsterers that manufacture our high quality sofas. 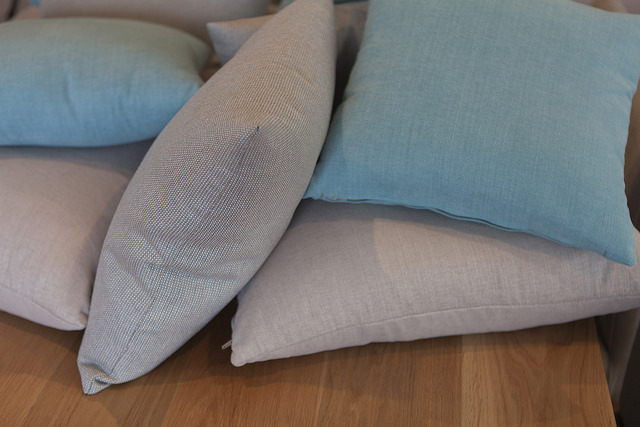 These customised scatter cushions are sure to impress you and your guests. Simply contact us to finalise your criteria and requirements or if you have any questions. The outside cover is important aesthetically, but what’s inside the scatter cushion counts just as much regarding comfort, support, durability and cost. Various densities are available. 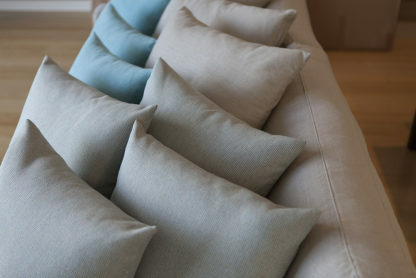 Higher density foam results in a harder cushion which will inevitably bounce back more readily to its original shape. Lower density foam results in a softer feel but isn’t as likely to revert to its original shape over time. These cushion inserts are typically softer than their pure foam counterparts. They’re also (usually) less expensive. Generally considered easy to clean with good bounce back abilities. Ideal in heavy traffic (ie: children, pets etc). This is the high end. 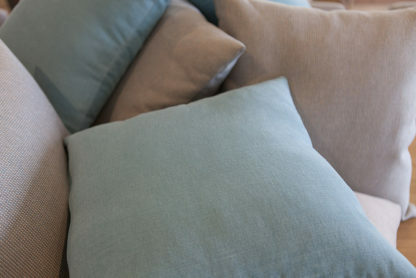 Luxury and softness abound. Pure down is the feather section of a duck or goose minus the quill. Feather relates to the entire feather from the duck of goose (with quill). This option results in the softest and most conforming cushioning experience available. Down and feather is not very responsive however in terms of bounce-back and can tend to flatten out over time. Our typical and preferred cushion manufacturing method. This is a very good quality all rounder. 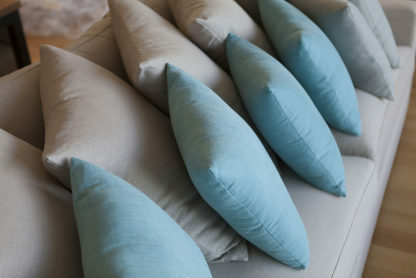 These scatter cushions have an internal core of a small, medium density foam. This foam is then entirely wrapped (enveloped) in feather and fibre. These are presented together and act as a combination insert. We believe that this combination provides the advantages of all the previous 3 options whilst minimising the negative aspects of each. 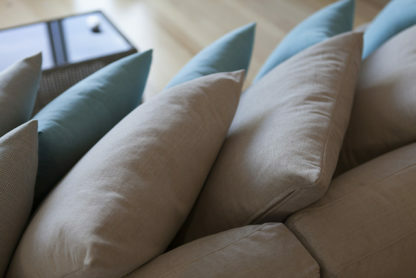 It also provides a significantly more cost effective alternative to a pure down and feather cushion. With reference to the outer cover be sure to also consider the durability (ie: Martindale count). 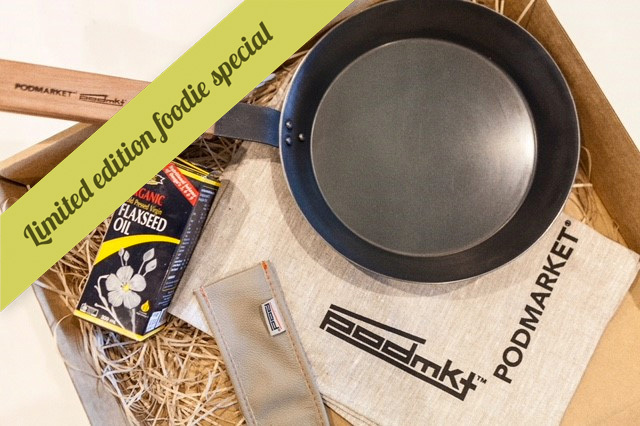 For a great explanation of the Martindale test please click here. Lightfastness is also a consideration. This refers to the discolouration of the pigments used in the manufacture of the fabric due to sunlight. The extent of the discolouration (or bleaching effect) is expressed in terms of a number between 1 and 8 on the blue scale. Try and aim for a lightfastness rating of 5 – 8 if possible. Lead time: Approximately 2-4 weeks. Depending on selected cover availability. Made entirely in Melbourne by the same upholsterers we use to make our high quality sofas, our scatter cushions are sure to impress and set off your lounge and bedroom areas with that touch of colour and sophistication you're aiming for.